Prosperity – SBLI USA Life Insurance Company is a subsidiary of Prosperity Life Group, a growing insurance company that provides financial security to individuals through protection, supplemental and asset accumulation products through various channels. Prosperity – SBLI USA Life Insurance Company is domiciled in New York, New York. The company traces back to 1939 when Savings Bank Life Insurance Fund became SBLI USA Mutual Life Insurance Company. It has served the New York market for over 75 years. One of the most popular products they provide are their Medicare Supplement Plans. They strive to provide the lowest rates in the country and give top-notch customer service to Medicare beneficiaries in the market. Prosperity has been given an A- rating from A.M. best, showing that they have excellent ability to meet their ongoing insurance and senior financial obligations. 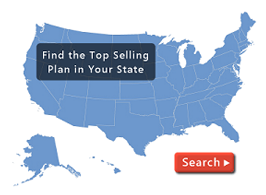 See what Medicare Supplement plans are available through Prosperity Life Insurance Company in your state by visiting our quote page or by calling us at (800) 750-2407! Prosperity Life Group offers some of the lowest rates in the country. Want to know if you qualify?